Passengers are asked to arrive at bus stop 10 minutes prior to travel times. Please allow appropriate time preflight to organise baggage, security checks and or customs when scheduling flights from Cairns. 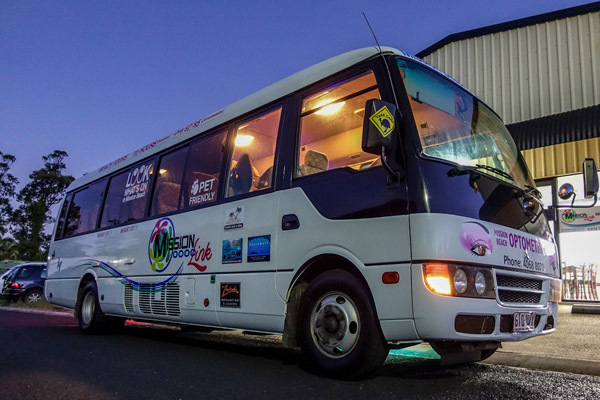 Mission Link takes no responsibility for missed flights due to late arrival. 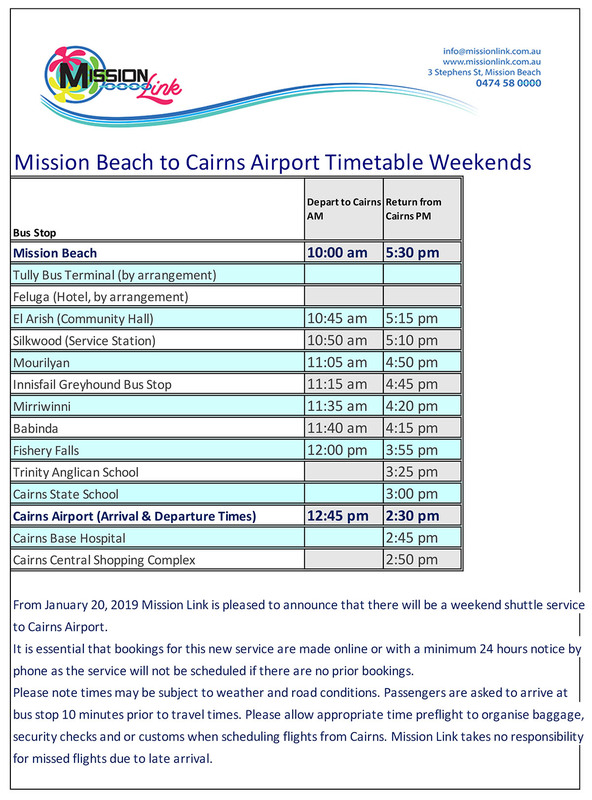 The second shuttle from the airport will leave at the established time of 2.30PM arriving in Mission Beach and Tully at 5.30PM. 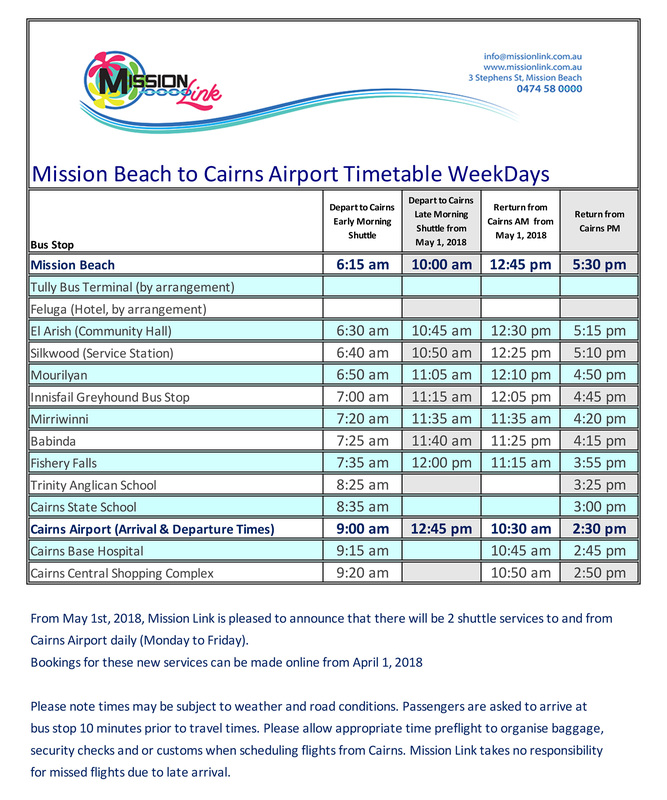 The early morning service will continue to leave Mission Beach at it’s usual time of 6.15AM. Book online throughout this website or for those without internet access you can always book by phone on 0474 580 000 or the office number 0407 337 661. Scroll down for timetable.